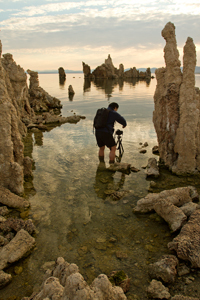 There are strange places out there for sure, but few places on the Earth are quite as strange as Mono Lake. 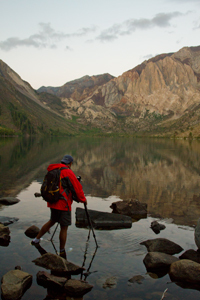 This salt water lake sits on the east side of Sierra Mountain range and is home to some of the most bizarre formations in the world. 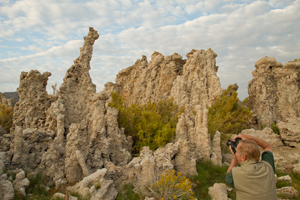 Over the course of time calcium carbonate deposits from under the lake have built up and formed towers of hard formations that texturally resemble pale sponges. 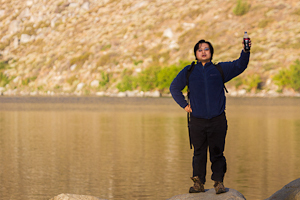 The high alkaline content in the lake brings about swarms of flies that feed on the minerals and other deposits, which in turn brings in birds by the thousands to feed. 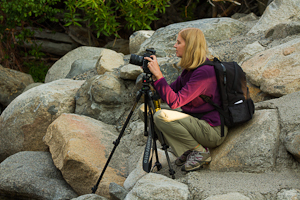 This mix of wildlife and the bizarre beauty of the lake itself brings in photographers by the thousands each year to capture some of this beauty and the beauty of the surrounding areas. 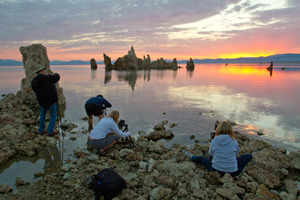 A group of thirteen photographers met Aperture Academy professional instructors Brian Rueb and Scott Donschikowski on a lovely Friday evening in August, to spend a weekend in and around Mono Lake learning more about photography and enjoying a weekend with like-minded photo enthusiasts. 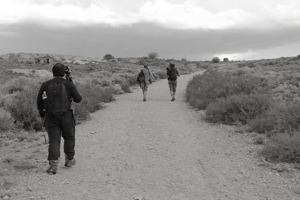 There was a lot of excitement over exploring this amazing area for photography. 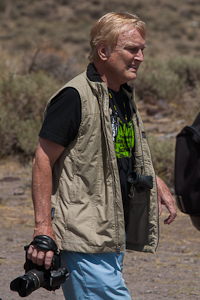 The class, as always, began with an orientation to give the instructors a chance to learn the skill level of each photographer, and the type of gear they had with them for the weekend. This time also gives us a chance to go over the schedule for the weekend and what to expect on our various outings. In typical fashion, one of the big concerns of the group inevitably is, "What time do we have to wake up in the morning?" Saturday morning at 5:15am, our group met their instructors at the Aperture Academy van in preparation for a full day of photography and fun. 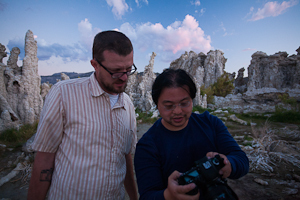 Our first stop of the workshop was the iconic Mono Lake. 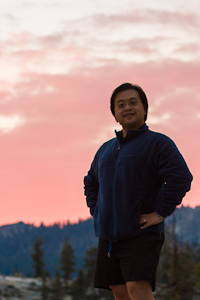 The class arrived as the first hints of color began to light the horizon. 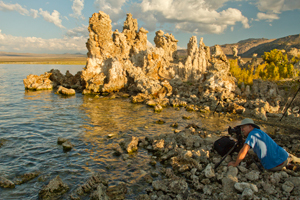 Mono Lake and the tufa structures are very fragile, so in conjunction with the local parks service, we have specific areas and rules as to where we can and can't go in order to preserve the beauty of the lake for future generations. 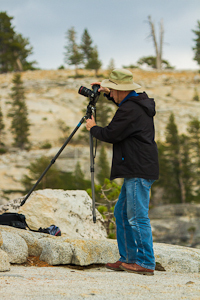 Aperture Academy believes in the importance of making sure we, as landscape photographers, are good stewards of the land. 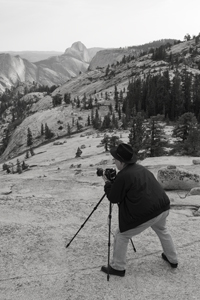 The lake provided plenty of opportunities for the class to find great compositions without the need to climb on the odd structures. 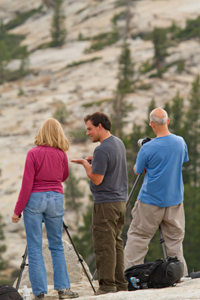 Before the light show began, Brian and Scott had the class in position and were working with them to fine tune compositions and get the right settings in order to capture the scene as sunrise unfolded. 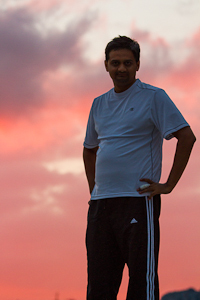 Sunrise was spectacular; the clouds were lit with all shades of red and gold, and they greeted our cameras as the class fired off fast and furious trying to capture every bit of the good light. 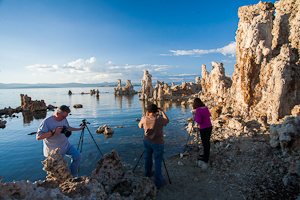 Once students got a shot from one location that they liked, they moved about the areas and found new and interesting compositions throughout the south tufa area. 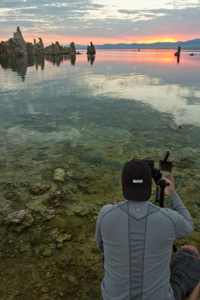 Time flies when the light and location are perfect, and before we knew it, we'd spent over two hours walking the tufa gardens and shooting the morning light. So it was time to move to another location! 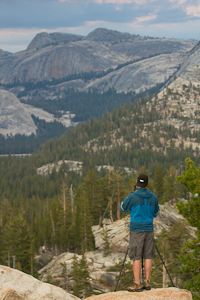 Lundy Lake is a nice little fishing lake located at the base of the Sierra range. Our luck was great and on this morning; there wasn't any wind and the reflection of the granite peaks in the crystal clear lake water was perfection! The class spread out along the shoreline and we found rocks and other interesting items we could use in our compositions as foreground anchors. 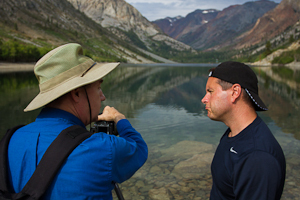 This was also the perfect place for Scott and Brian to help students see the importance of the circular polarizing filters and how well they bring out reflections in the water. By 10am, we'd covered two lakes and almost five hours in the field...then it was time for a much needed break for food and rest. The class reassembled at 2pm to spend a couple hours at the computer going over post-processing techniques with the instructors, to bring out the best in the images the students took during the morning. 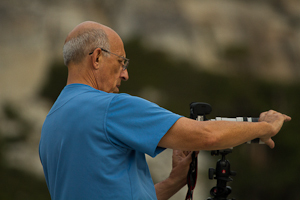 Many students had struggled somewhat with this aspect of photography, but having experts like Scott and Brian around to answer questions and provide demonstrations was very valuable and made the students more comfortable with photography post-processing. 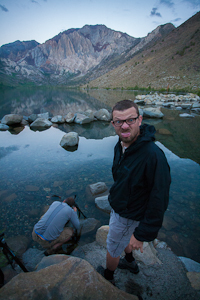 August is monsoon season on this side of the Sierra, and as someone told us, "it rains every day in August here." 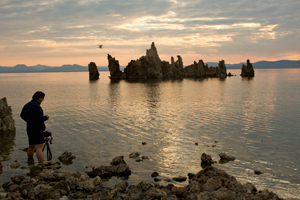 Sure enough, at 4pm the skies opened up and the rain began to pour over the Mono Lake area. 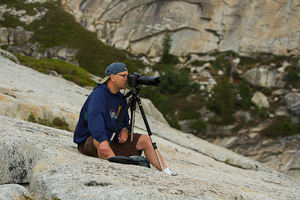 Having a sunset shoot planned there during the evening, this was looking like a watery mess...thankfully Scott and Brian watched the weather and knew the skies looked clearer to the west, and with a few minor adjustments, our sunset shot was readjusted to the granite peaks of Yosemite National Park, and the lovely vistas from Olmstead Point. 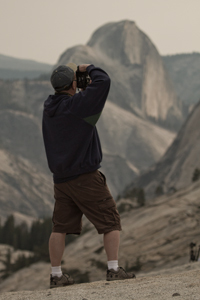 The move was very successful, and sunset was beautiful, and rain-free, in the Yosemite area. 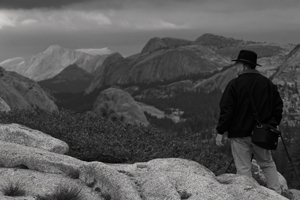 The class positioned itself on a granite shelf looking over the valley and across to iconic Half Dome. 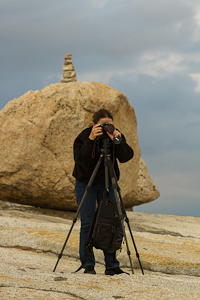 Using telephoto lenses, we are able to zoom in and get some really nice images of this granite monolith bathed in the last bits of evening light that cast a warmth on the face and put a nice glow in the sky. 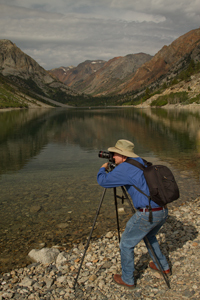 In addition, there were many other compositions available to shoot and Brian and Scott worked with the class to find other great shots. 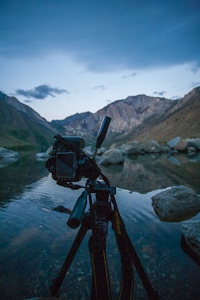 Day 2 began earlier, and before the sun rose, we were on the banks of Convict Lake, another great granite-lined basin, and we watched the sun illuminate the sky and rocks as the mountains were reflected in the still waters. 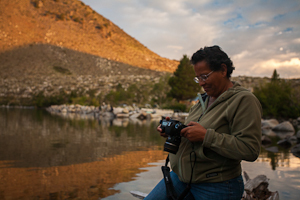 The class used smooth boulders in the lake as foregrounds to get great images of the lake, and as always the instructors were right there to help fine tune the compositions and answer questions on settings to make sure everyone got an image they enjoyed. 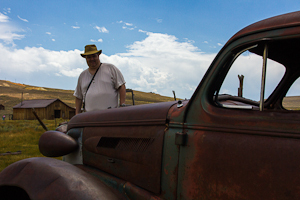 The real jewel of the second day was Bodie State Park. 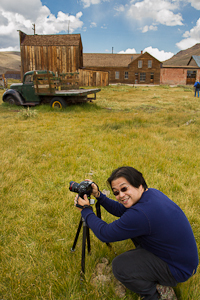 Bodie is a gold mining ghost town that has been preserved and left to decay naturally, while being protected by the Bodie Foundation and the California State Parks. 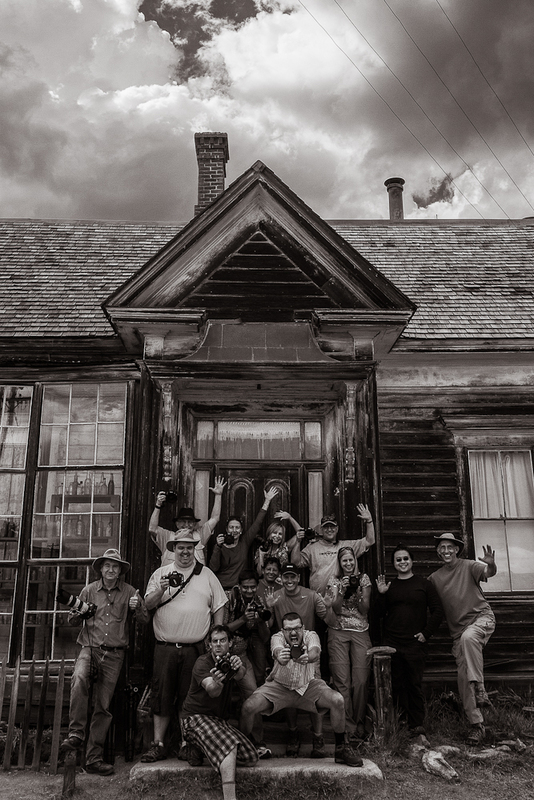 This old mining town is literally full of photographic opportunities. 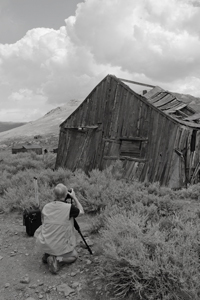 Dozens of old dwellings are scattered throughout the area all in various forms of decay. 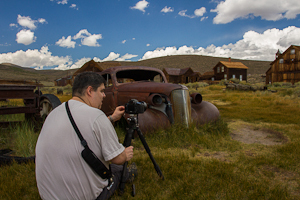 Old cars, trucks and parts are scattered throughout the location, which all provides numerous options for creating interesting images. 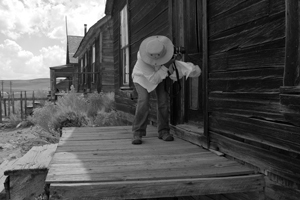 If all the goodies scattered throughout the fields and roads weren't enticing enough for photography, many of the buildings have intimate little bits of history that are visible by shooting into the windows of the houses, schools, and stores from this wild west town. Whether it's an old worn globe on a desk in the old school house, or old typewriters and telegraph machines, there's always something new and exciting in the windows to find. 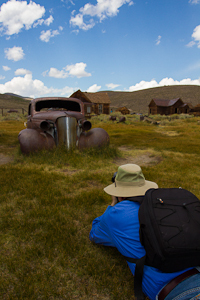 People who have been coming to this area for years say they can always find something new each time they visit Bodie. 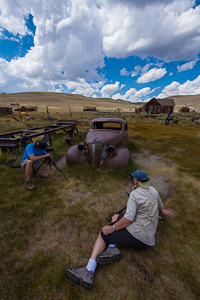 The best way to experience Bodie is to wander and explore, so Brian and Scott let the class do just that. 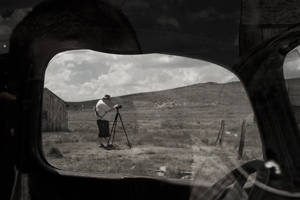 While the class was out busy in the field, Scott and Brian would go to them individually and look over images and answer any questions or concerns they may have encountered while shooting. This alone time was a good opportunity for the class to work on some of the concepts they'd learned in the first day, and then get help periodically to ensure they are still on the right track. 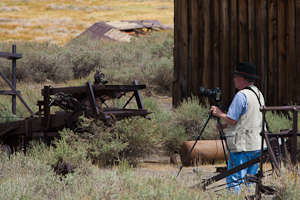 Even after spending three-plus hours in the park, everyone agreed they could have spent at least another three or four hours shooting the wonderful old relics. The weather was perfect for the day, too! 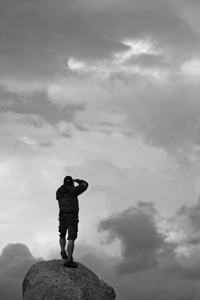 Moody storm clouds swirled over the town and gave the images an added punch of drama that really helped give them something special. 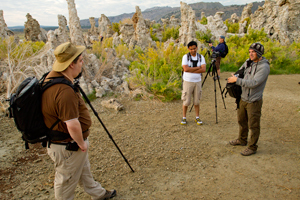 The final stop for the class was back at Mono Lake. The sky had let up from the previous day, and the class was treated to a very lovely sunset with pink and gold clouds strewn throughout the sky. 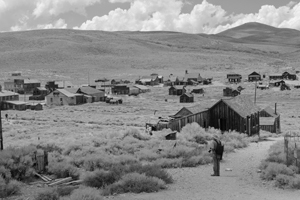 Returning to a location like Mono was perfect in that it gave students a chance to improve upon any images they may have felt needed to be re-shot from their first visit. 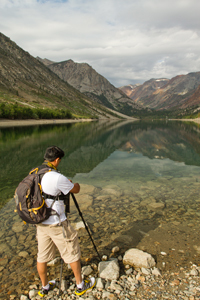 In just over a day, the students had learned so much that they were able to find ways to improve their first day images, and everyone found a nice place to capture a sweet shot of the bizarre lake. 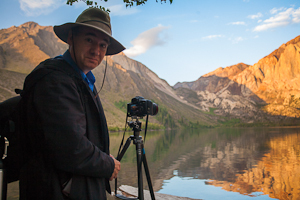 It's always hard to end a class with weather as perfect as we had it in Mono Lake...but everyone had filled their memory cards with images from two full days of shooting, and gathered some new tips for how to process them when they returned home. The only thing left was to get home and do it!